A chance to own an original quilt made and designed by Natalia Bonner & Kathleen Whiting. Bow Ties was originally published in Modern One-Block Quilts. 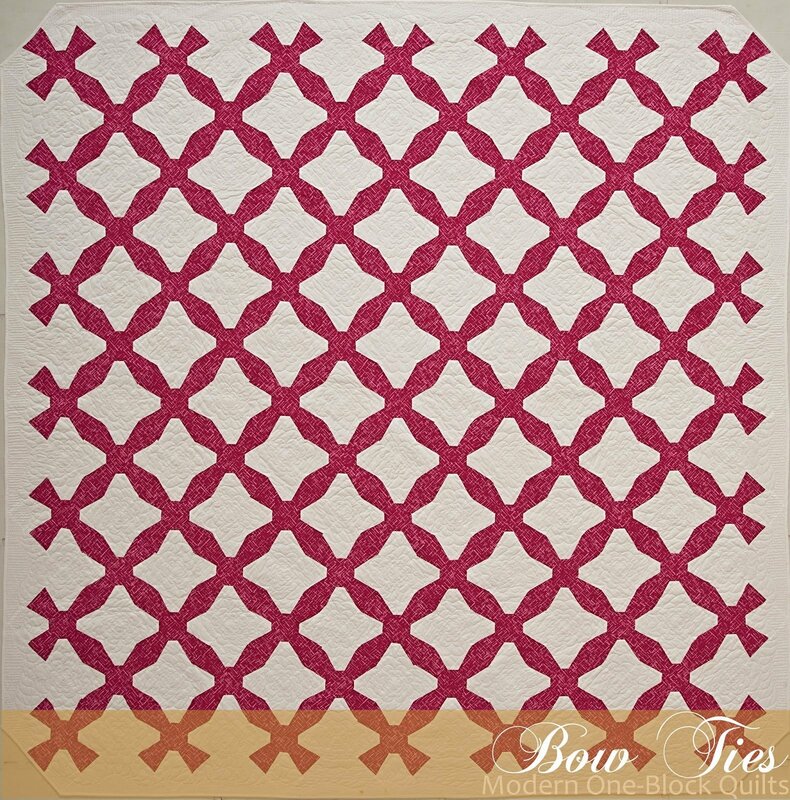 Bow Ties is a fun, template-pieced quilt. Some of the pieces are pretty small but the end result is worth the gorgeous quilt. Fabrics used are high-quality quilting fabrics and custom machine quilting was done by Natalia Bonner. The finished quilt measures 89"x89".